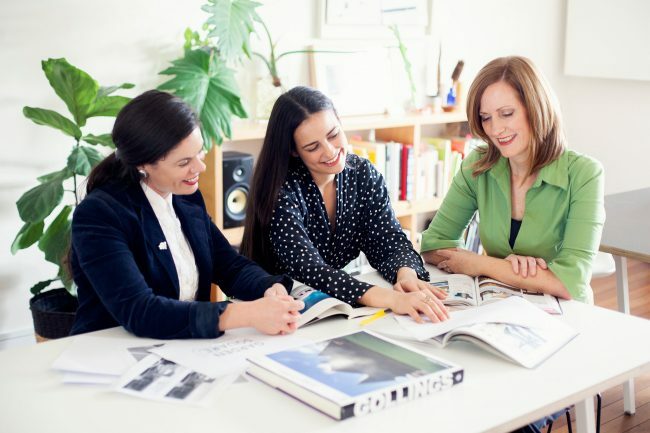 The voice for the Australian architecture and design industry just got louder! Lindy Johnson Creative (LJC) is a Brisbane-based creative agency advocating for Australian architects and designers. Built from the ground up by the company’s namesake, Lindy Johnson has made marketing, business development and publicity for leading architects, designers and related businesses an artform in its own right. On the eve of our fourth anniversary, the Lindy Johnson team just doubled in size. A sign, according to Lindy, the architecture and building design industry is in good shape. “I’m excited to introduce my newest team members Corin Kelly and Vanessa Lahey to the architecture and design world,” Lindy proclaimed. “Both women combined have more than 30 years’ experience in journalism, which puts LJC, and our clients, in an advantageous position. “Today’s media landscape presents an inexhaustible range of opportunities for firms and practices to communicate their brands directly to existing and potential clients. Prior to establishing LJC, Lindy conceived and branded HEAT Architecture. A world- first government-to-business program for architects and designers. The program generated millions of dollars in international editorial and new commissions. She also created Australia’s first whole-of-government two per cent for public art policy; and the Ulysses program, which continues to transform Australian businesses through design-led integration.